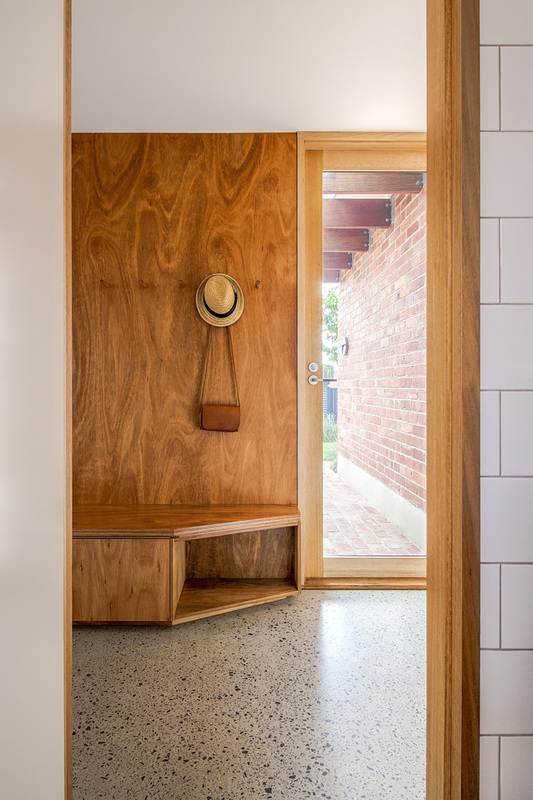 The Outlook of this 1940s Home Just Got a Lot Brighter... - BuildHer Collective. 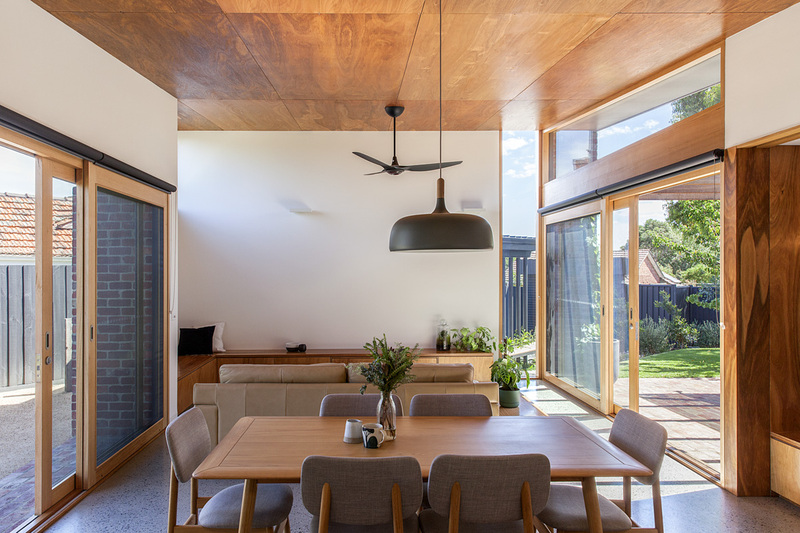 Set on a large but challenging battle-axe site in Coburg North, the aim of this renovation was to maximise light and connect the living areas to the outdoors in a way the original house was not. 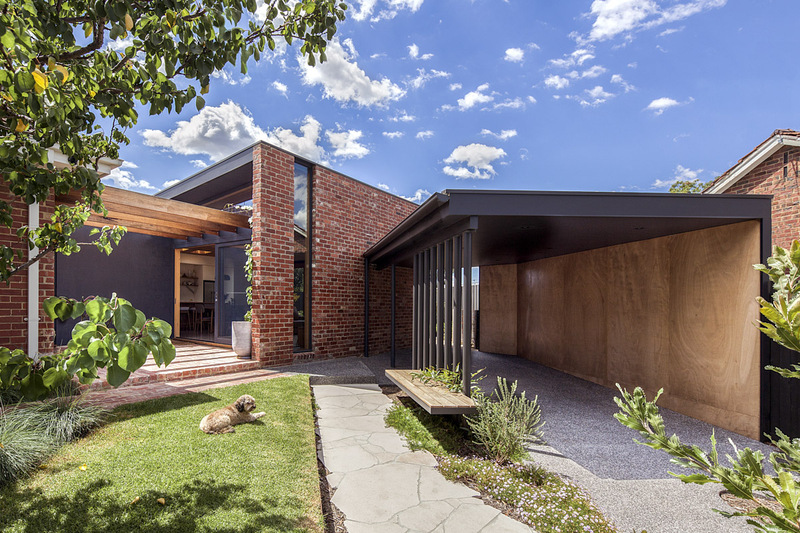 The solution was to pull the new addition away from the existing home, leaving space for a light-filled courtyard in between. The courtyard offers a number of benefits. It allows north light into the living areas for a start, but it also encourages breezes through the living area and creates an effortless indoor-outdoor connection. Having windows on more than one side of a room is a great way to maximise the amount of light in a home, letting light in at various times during the day. 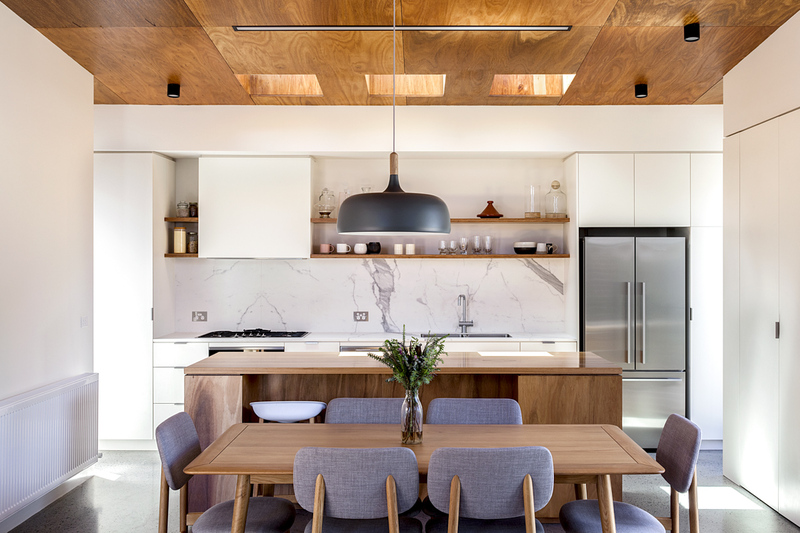 Skylights are another great trick used in this home, filling the kitchen with natural light for the whole day. 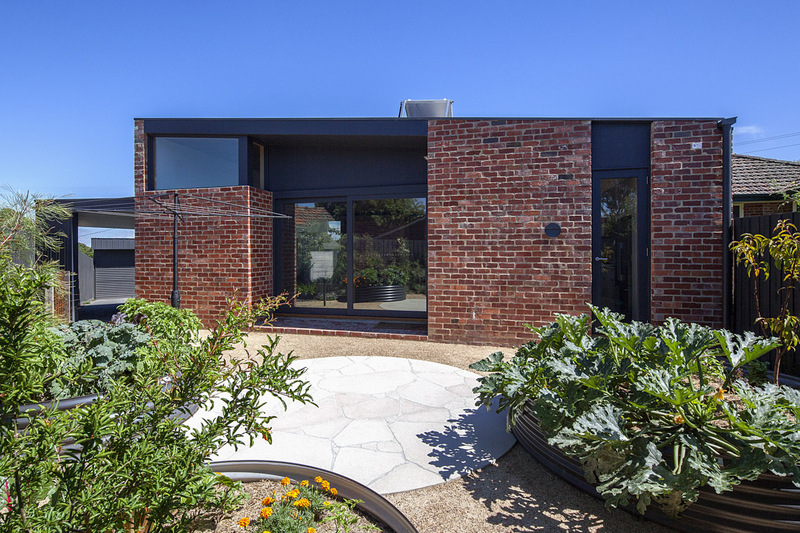 Using recycled brick, the addition feels like a logical extension to the original home. 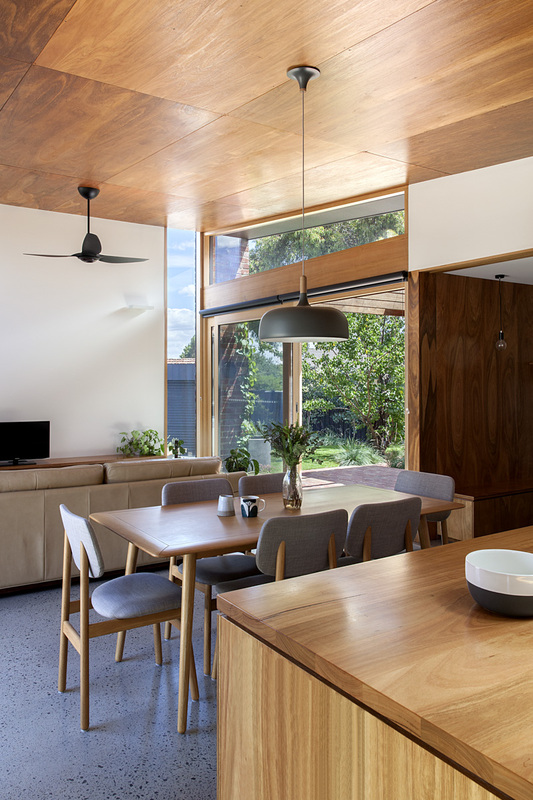 Concrete floors are used as thermal mass inside, which will help to regulate the home’s temperature and take advantage of all that sunlight to keep the home warmer in winter. The larger windows are also cleverly recessed so they will be shaded in summer to keep the home cooler. 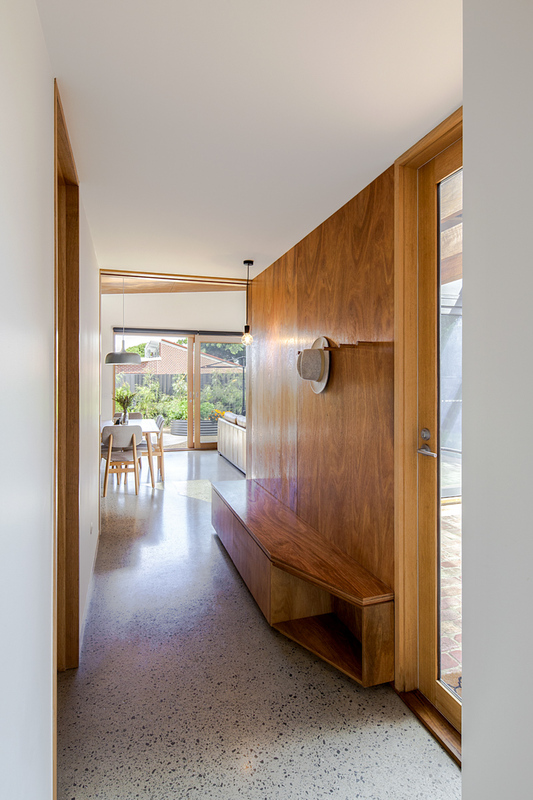 Timber is used throughout the addition, tying the new parts of the home into the timber features of the original home. The materials used, timber, brick and concrete all have a natural texture and finish which give the home a natural warmth. Beyond the thermal mass and natural light, a number of sustainability features help to make the home environmentally friendly and energy-efficient. Recycled materials have been used wherever possible, and the home is built with longevity in mind, while solar hot water and low-energy lighting reduce energy needs. 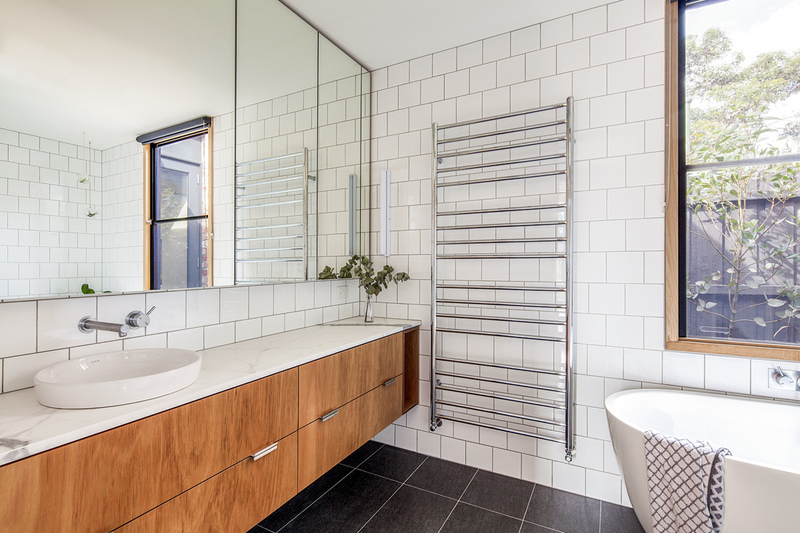 Hydronic heating is used due to its efficiency and physiological benefits (it’s a radiant heat source, which feels nicer than blowing hot air into a space). While simple in planning, the new living pavilion achieves a lot for this home. 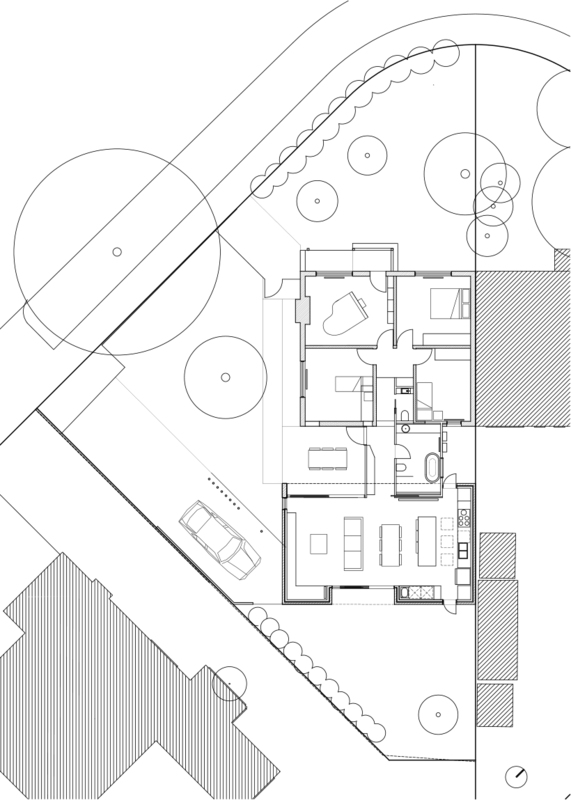 It helps to reorient the living areas towards the north for natural light and passive heating. 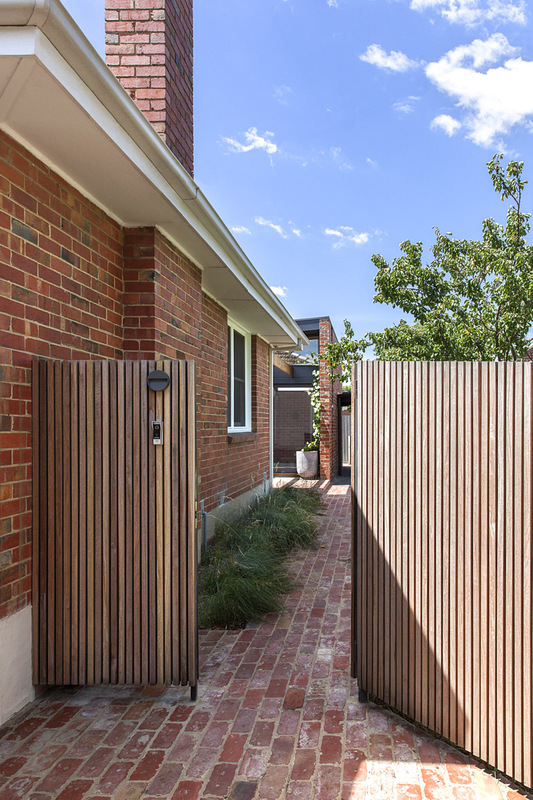 It creates a courtyard and access to the garden on both sides of the living space. 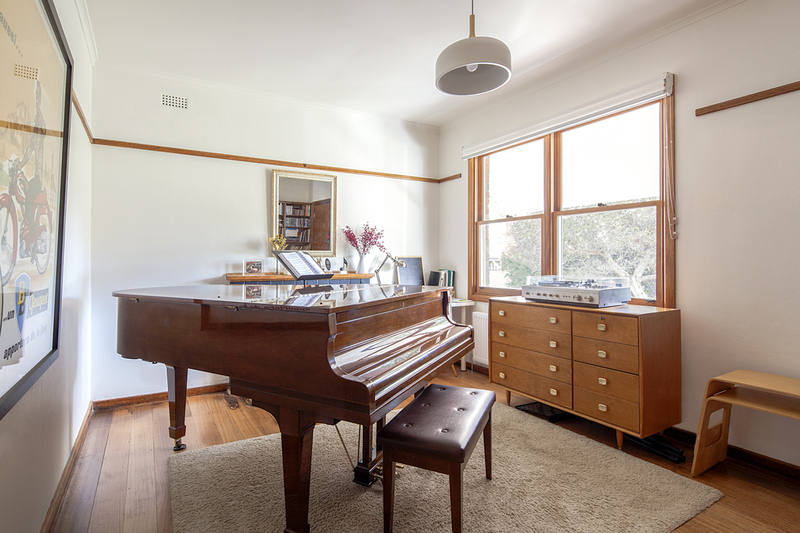 It also frees up space in the original home for bedrooms and a music studio, updating a house for modern living. 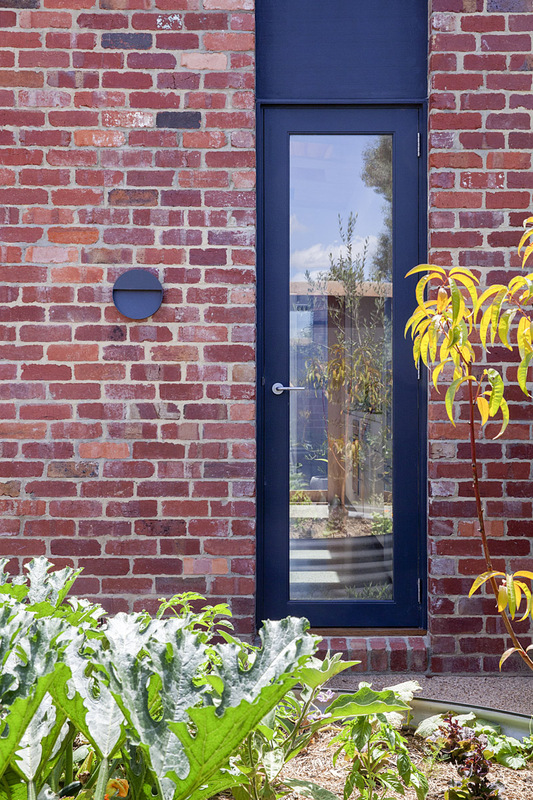 Using recycled brick is a great (cost effective) way to tie old in with the new. Timber brings warmth, and it also helps tie the old in with the new. It brings a natural feel to a home. It can be used in many different ways, walls, ceilings or both! 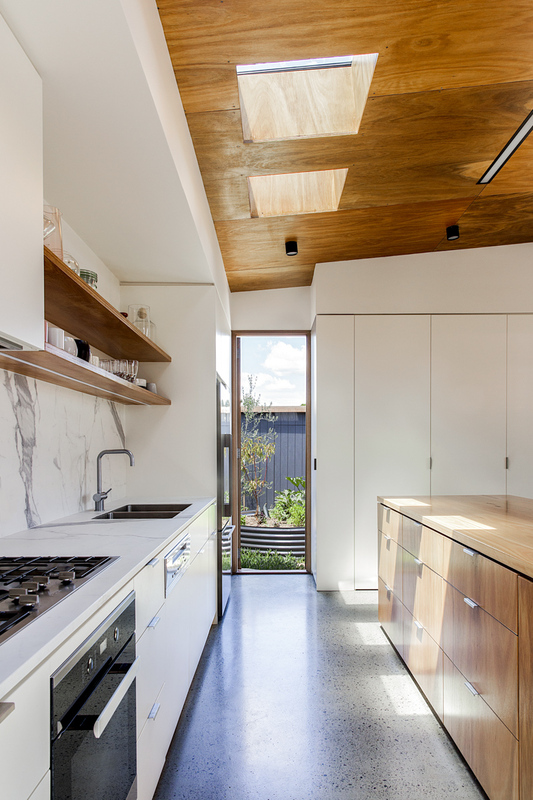 Polished concrete is hard wearing, but also helps keep a house cool and also warm in winter. Playing around with different aggregate's can bring a point of difference to your flooring.